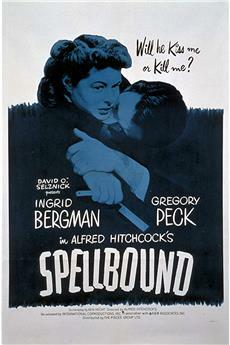 Spellbound is a movie starring Ingrid Bergman, Gregory Peck, and Michael Chekhov. A psychiatrist protects the identity of an amnesia patient accused of murder while attempting to recover his memory. 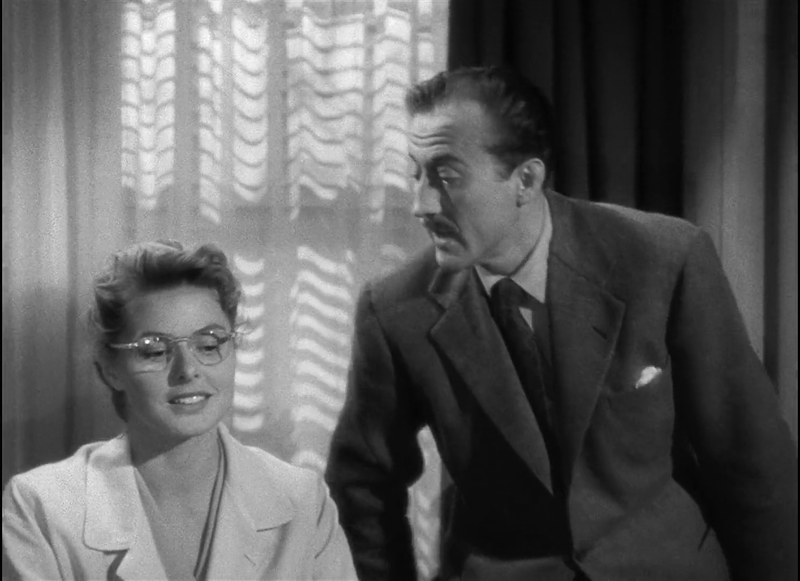 Dr. Constance Petersen (Ingrid Bergman) is a psychiatrist at Green Manors mental asylum. The head of Green Manors has just been replaced, with his replacement being the renowned Dr. Anthony Edwardes (Gregory Peck). Romance blossoms between Dr. Petersen and Dr. Edwards but Dr. Edwards starts to show odd aversions and personality traits. 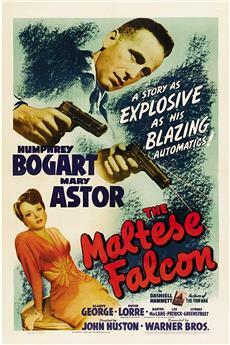 It is discovered that he is an impostor, and amnesiac, and may have killed the real Dr. Edwardes. Dr. Petersen is determined to discover the truth through unlocking the secrets held in the impostor's mind, a process which potentially puts her and others' lives at risk. 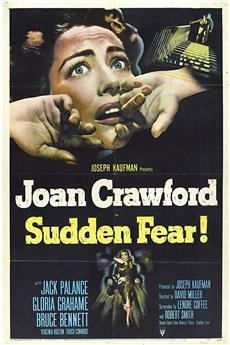 &quot;Spellbound&quot; is one of Hitchcock&#39;s hardest films to evaluate, because its plot and credibility are so heavily dependent on theories of psychoanalysis that are usually considered to be implausible, at the very best. But if you can accept, for the sake of entertainment, the more dubious plot devices, what remains is a fine film dominated by the great director&#39;s usual creativity and technical mastery. Although it&#39;s hard to get away from the implausibilities, it&#39;s a fine movie in all other respects.<br/><br/>Gregory Peck stars as an amnesia case, and Ingrid Bergman as a psychoanalyst trying to unravel his mysterious - and possibly murderous - past. 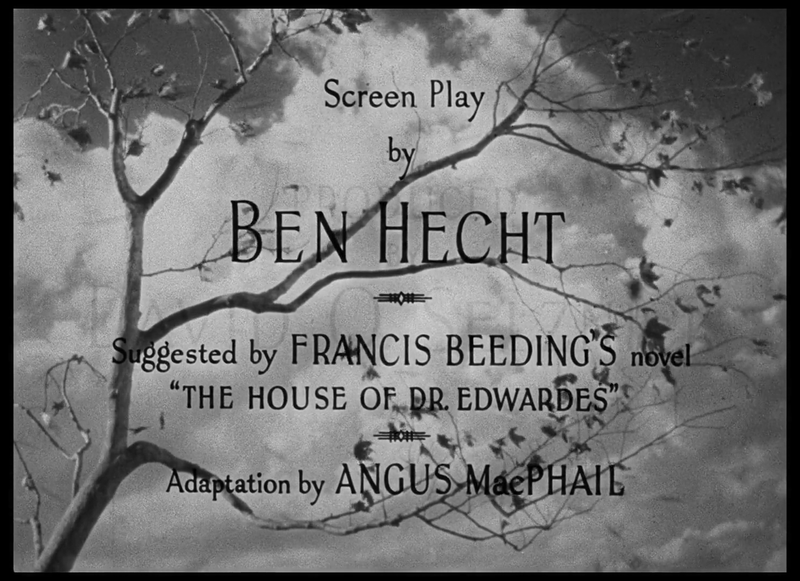 Most of the other characters are also psychoanalysts or patients, and the plot revolves around the ways that Bergman&#39;s character uses Freudian theories to solve the mystery. Whether you can enjoy the story depends on how willing you are to suspend disbelief concerning the wilder aspects of these theories, but if you are willing to do so, it&#39;s quite nicely done in most parts, with some fine scenes and a couple of good plot twists. It is also worth watching for the famous Salvador Dali dream sequence, which is very creatively done and fascinating to watch. Peck and Bergman also create interesting and sympathetic characters, who make the viewer want to know what will happen to them.<br/><br/>Overall, this is a distinctive film, and well worth seeing for any Hitchcock fan. I will remember &quot;Spellbound&quot; not for the story but for the use of cinematic tools to entertain the viewer. Hitchcock always had a yen for kissing scenes (&quot;Notorious,&quot; &quot;Torn Curtain,&quot; &quot;Marnie&quot;, &quot;Rear Window,&quot; etc.). Here instead of the close-up, he uses the camera to fade into a series of 7 doors opening as if the camera was rushing in through them to signify the adrenaline rush of the first kiss between the two lead characters. It was inventive for its time, though you could say the simile was overwrought.<br/><br/>The second startling scene was the accidental fall of the child on the sharp iron barriers of the house was graphic but few remember it. I thought that was great cinema, to show the gory end without any blood!<br/><br/>The third scene in the film was the attempted pick-up of the leading lady by a stranger in the hotel lobby captured by a static camera and the interruption by the hotel detective. This was Ben Hecht and Hitchcock at work providing another magical interlude.<br/><br/>The fourth magical moment is the use of color to signify blood briefly after a gun shot in a black and white movie.<br/><br/>The fifth magical moment was the envelop lying on the floor, seen by the leading lady but not others even as they step on it, except for one gentleman.<br/><br/>Finally, there is the famous Dali painting sequence--which is remarkably close to Dali/Bunuel&#39;s work in &quot;Un Chien Andalou.&quot; There is more of the typical Hitchcock in this film: wrong man chased by the police (&quot;The 39 steps&quot;, &quot;Saboteur,&quot; etc.) 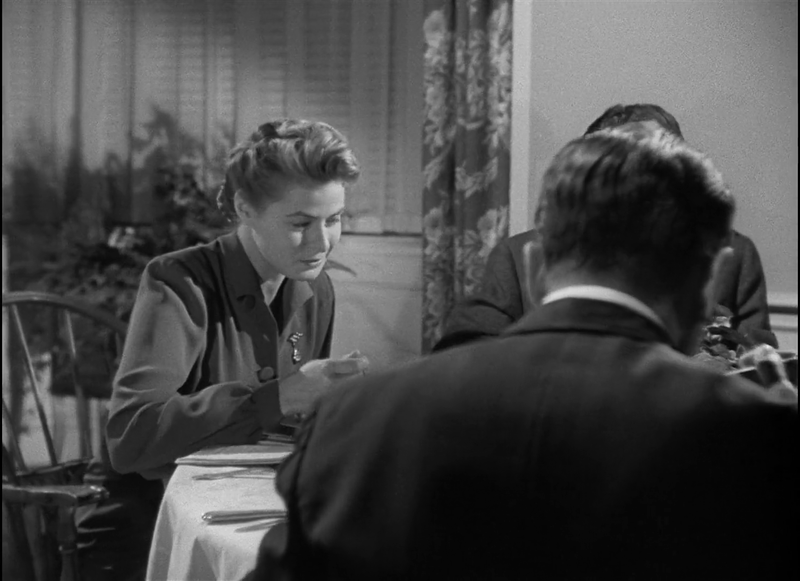 obsession with food and drinks (the meal scene where the leading lady draws an image with a fork, and the value of drinking milk at night eschewed by the foxy old psychiatrist). There is sexist humor too &quot;Women make the best psycho-analysts until they fall in love, after which they become the best patients.&quot; This is true of men as well! The film is not the best of Hitchcock but his stamp is all over it. 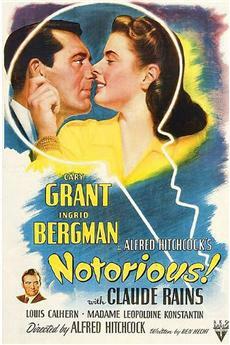 His master move was to cast Ingrid Bergman, who is simply a treat to watch and admire, in the lead role. Ms Bergman lifted up this movie. So also was the commendable casting of Michael Chekov as the old psycho-analyst. These factors negate the illogical emergency surgery conducted by a team of psycho-analysts and the awful staged ski sequences.